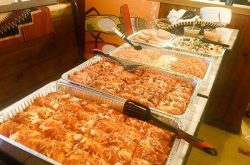 For those looking for a different culinary cultural experience in Buffalo, there are a number of options – from Japanese to Mexican to Southern soul food. The irony attached to many local restaurants serving these cuisines is they were mostly founded on working class dishes and perfected by people who probably can’t afford the $20 entrées and $10 cocktails common to restaurants serving upscale versions of rustic classics. One could easily argue fried chicken isn’t meant to cost more than it does at Popeye’s. 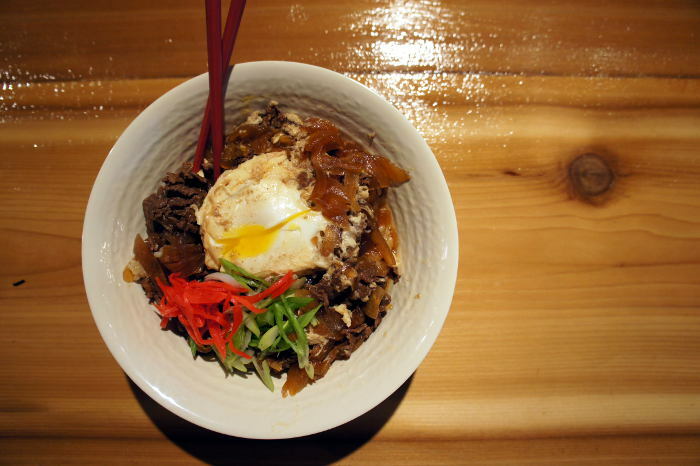 With the newest version of their Japanese restaurant SATO, opening today in the University Heights neighborhood, Josh and Satomi Smith are looking to keep a humble dish as the casual fare it’s meant to be by presenting ramen as the working class food it typically is in Japan. Smith noted that his original SATO location is in fact a little bit more upscale then he had wanted, but the opportunity to move into that refined space on Elmwood was one he couldn’t pass up. 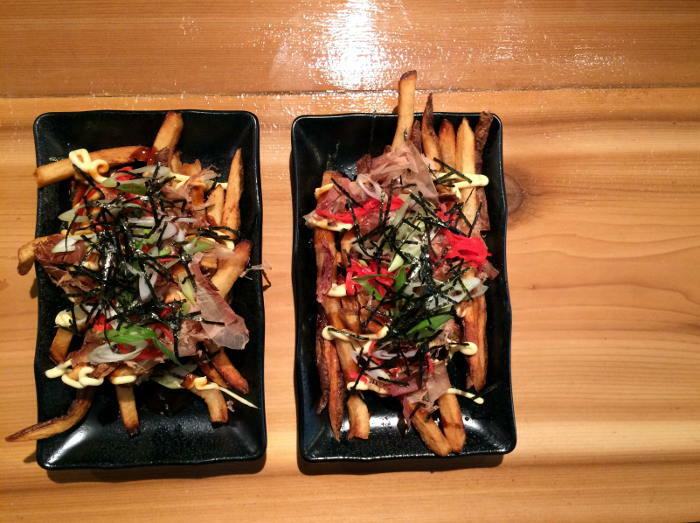 Instead of being a simple noodle bar, the SATO on Elmwood is more of an izakaya, or Japanese bistro. 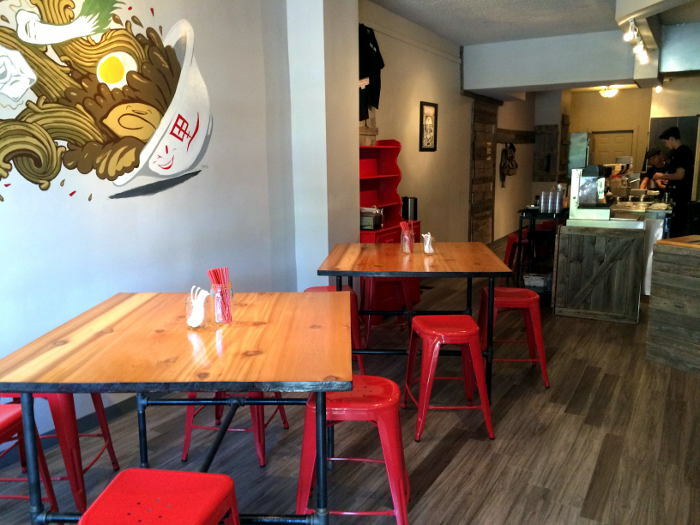 “The previous owner (on Elmwood) decked it out pretty nicely, so we went with that,” he said. Smith told me that feedback he’s gotten at the Elmwood location indicates people want a more informal, lively ramen experience. 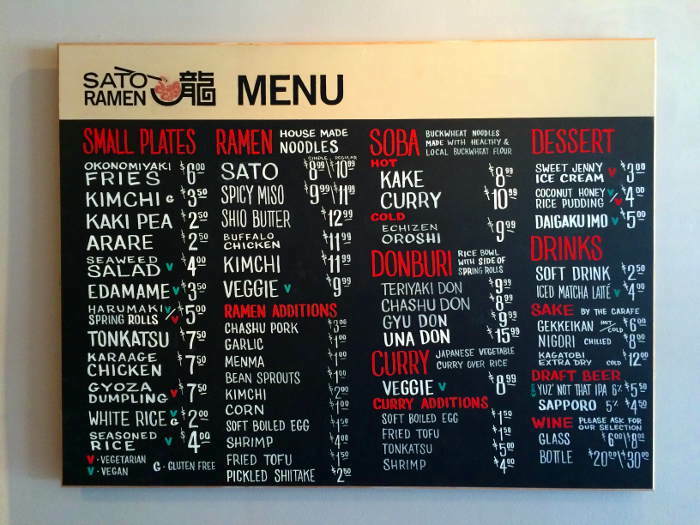 The new SATO Ramen on Main Street is slated to feature a small menu with few different kinds of ramen and rice bowls. 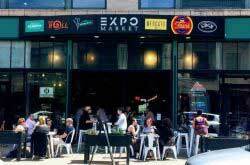 The small menu, Smith said, is to allow for the food to come out quicker than it does at the Elmwood location. The modest décor at the SATO Ramen plays into the new location’s lively-but-utilitarian vibe. As for the food itself, the restaurant’s SATO ramen features mostly pork and some chicken bones that are cooked all day to produce a rich, marrow-infused nectar. The noodle bar will also feature a vegetarian ramen—as well as an all-chicken ramen, which Smith referred to as a newer style of ramen. Both the traditional noodles and soba noodles for the soup will be made in-house. Smith said he also plans to feature a regular ‘special’ noodle infused with anything from spinach to sriracha sauce. Beverage options at the new location will include fountain drinks, sake, wine, Japanese beer and local beer. Smith has already partnered with Community Beer Works to produce an exclusive yuzu IPA, a beer with added citrus notes. 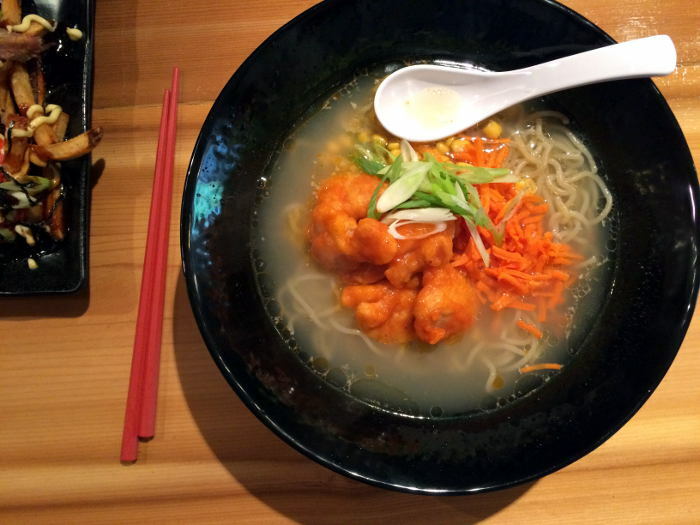 Like their neighbors Shango, SATO Ramen will not be allowed to serve liquor due to its proximity to a nearby church and school – an aspect of New York State liquor laws. Smith said the pastor at the church has thrown his support behind allowing the restaurants to serve liquor, but the state authorities are leery about setting a precedent for other restaurants looking to ignore the law. Ultimately, this means that fans of Japanese whiskeys will have to head over to SATO on Elmwood. With true dive bars and modestly-priced food quickly disappearing from Buffalo’s primary entertainment districts, it’s refreshing to see a restaurateur catering to a clientele that doesn’t have deep pockets, yet still craves a cultural experience. 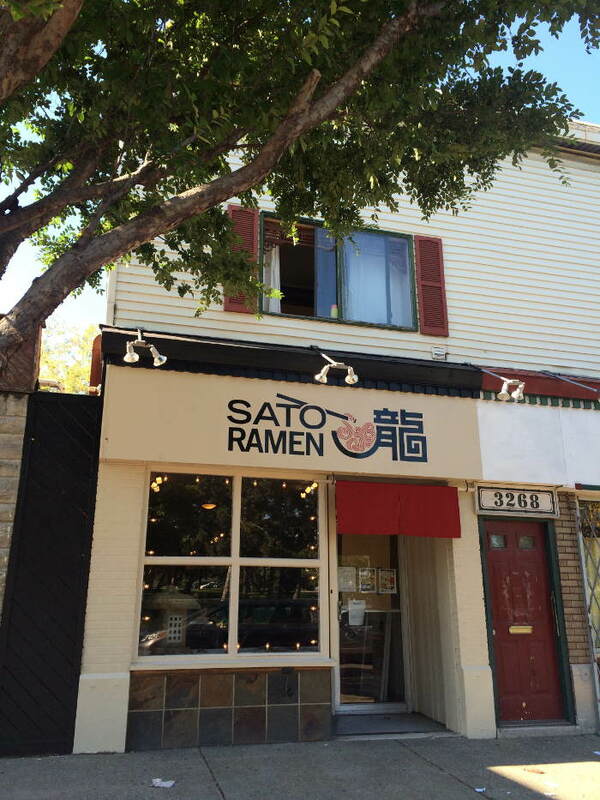 For more information about SATO Ramen, visit their website or follow them on Instagram, Facebook and Twitter.